America’s National Football League, the NFL, until recently, would have had us believe that there is no correlation between severe head trauma and mental deterioration. It doesn’t take a genius to work out that if you’re hit in the head repeatedly over a long period of time, that it’s going to have a long-term effect; we’ve all seen too many punch-drunk boxers to disbelieve that one. But the NFL, despite apparently being aware of the dangers inherent in such a violent contact sport, did nothing about it. Players who developed mental health problems would often take their own lives, so overwhelming was their condition(s). And for years, no one outside the NFL knew anything about it. And then in 2002, an unlikely “hero” appeared in the shape and form of Nigerian-born pathologist, Dr Bennet Omalu (Smith). While performing an autopsy on Pittsburgh Stealers legend Mike Webster, Omalu was unable to determine why Webster’s brain showed no signs of disease or damage, and yet his character and personality had changed to the extent that he was pulling out his own teeth and then supergluing them back in. Omalu conducted further research and tests on samples of Webster’s brain, and in doing so, discovered evidence of what he named CTE – Chronic Traumatic Encephalopathy. Omalu realised that CTE was caused by the repeated blows to the head that football players experienced in every game, and that this something that needed to be brought to the attention of both the NFL and the public. Omalu published his findings, and almost immediately the NFL began ridiculing his work and his theories (though within the medical profession it was regarded as an accurate representation of what was happening). Attacked on all sides, Omalu found an unexpected ally in the form of former Pittsburgh Stealers team doctor, Julian Bailes (Baldwin). He confirmed what Omalu was beginning to suspect: that the NFL were complicit in what was happening to a lot of former players. Omalu sought to open a dialogue with the NFL but they wanted nothing to do with him, and continued to criticise and rubbish his findings. More former players died, usually from suicide. Omalu now had enough evidence to take to the NFL and prove his theory. But the NFL blindsided him, and when his boss (and friend), Dr Cyril Wecht (Brooks) was charged with multiple counts of fraud, Omalu was left with little room to manoeuvre. Unwilling to put his friends and colleagues in the line of fire, Omalu decided to quit and relocate to California with his wife, Prema (Mbatha-Raw). And then three years later, another ex-player killed himself, but this time, in such a way that not even the NFL could ignore. Now, Omalu had a chance to get his message across – but would the NFL listen? 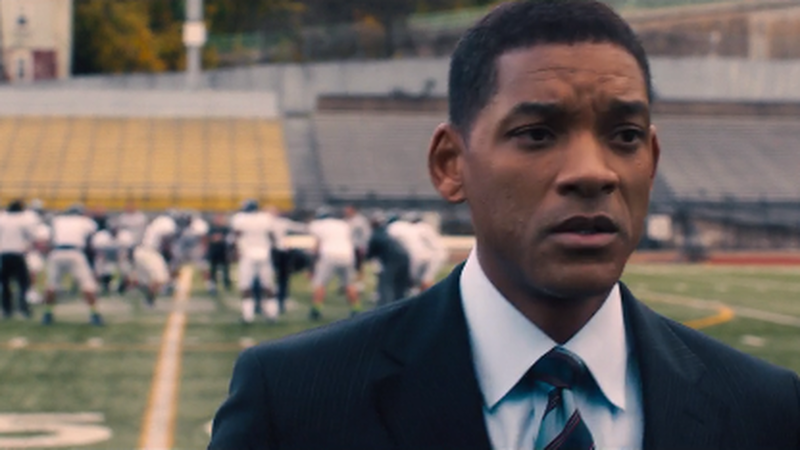 Concussion is a small movie with a big message to pass on. That it does so intermittently, and with very little passion attached to it, makes for an uneasy ride as Omalu continually points out the obvious, and is then ignored for his temerity as a foreign national to be someone who doesn’t follow the game, or know who half the local players are. Various justifications are made on the game’s ruling body’s behalf, but the real question – why would you place such highly-paid, professional athletes in such a potentially harmful environment, and not do something to alert them to the risks they’re taking? – is never really answered. Partly it’s because the focus is squarely on Bennet Omalu and his relationships with medicine and science and his faith (Omalu meets his future wife at church, where he’s asked to take her in as a favour to the parish). 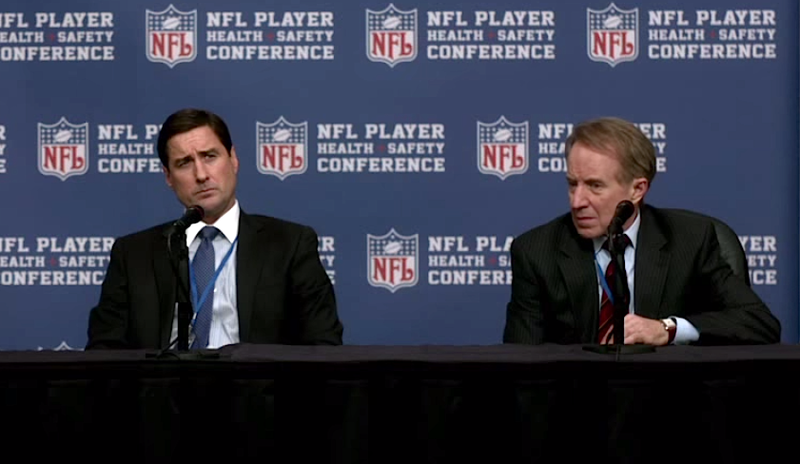 With the NFL refusing to engage with the issue unless forced to, the movie has to surmise much of the league’s reasoning, and this leads to awkward, melodramatic moments such as when ex-player and league bigwig Dave Duerson (Akinnuoye-Agbaje) confronts Omalu and dishes up a large plate of hostility and bile. The movie also marginalises a lot of the minor characters, from Dr Ron Hamilton (Moyer), who helped Omalu get the recognition he needed from other doctors and medical personnel, to Omalu’s own wife, Prema, who, one personal tragedy aside, appears to be there to remind audiences just how good a man Omalu is. 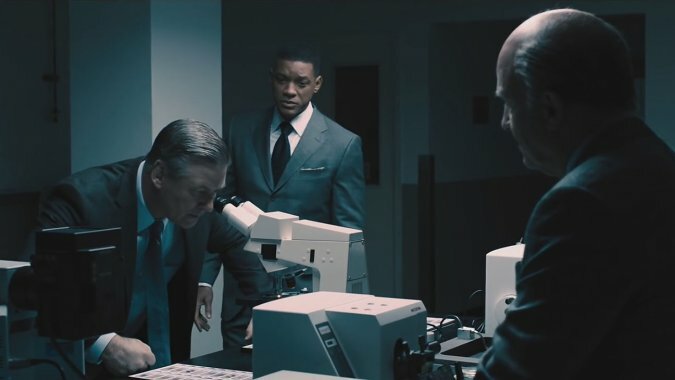 As the emabttled pathologist, Smith makes up for the soulless, joyless performance he gave in After Earth (2013) by making Omalu an earnest, justice-seeking missile of the truth. It is a better performance – by quite some margin – but it’s a relentlessly dour one as well, with Smith constantly frowning as if he’d lost something and couldn’t find it. 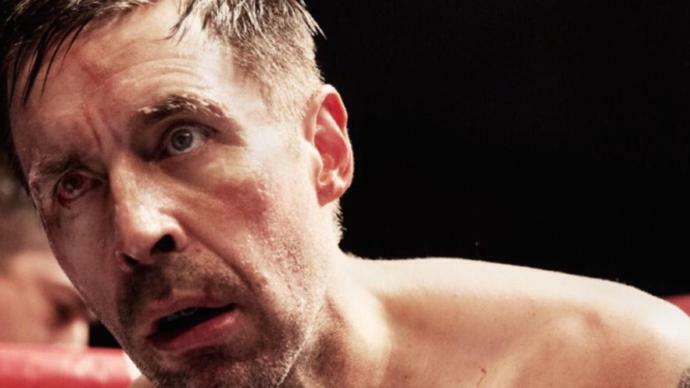 Smith is a more than capable actor – see Ali (2001) if confirmation is needed – but here he’s let down by the movie’s pedestrian, made-for-home video tone, the connect-the-dots approach of the script, and Landesman’s unfocused direction. And there are too many scenes where the time to be passionate about the subject is given the equivalent of a hall pass. 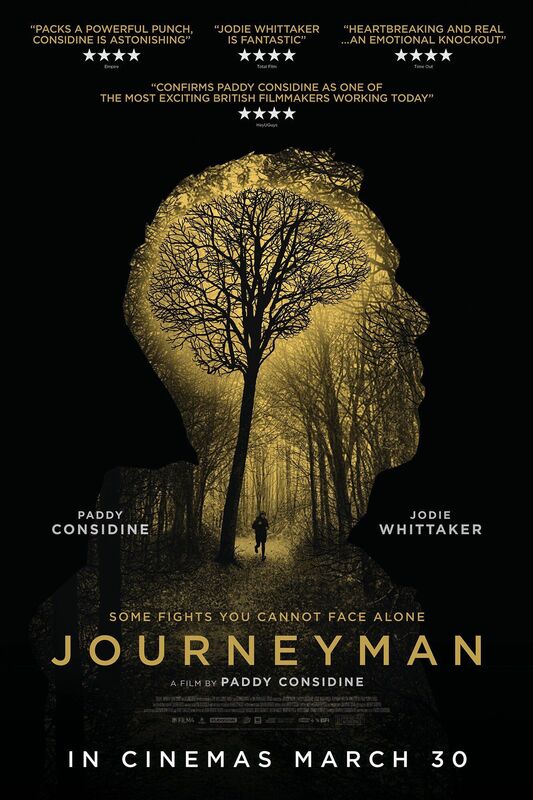 The movie ends up being a lengthy one-sided examination of the head trauma issue as seen through the eyes of a moral evangelist – Omalu implores more than one person to “tell the truth”. But once Omalu has established that CTE exists and is a very real killer, the NFL’s intractability comes into play (no pun intended), and the audience is left waiting for a resolution that looks increasingly unlikely to happen. And yet, when it does, it lacks the impact required to have audiences cheering in their seats at seeing justice prevail. 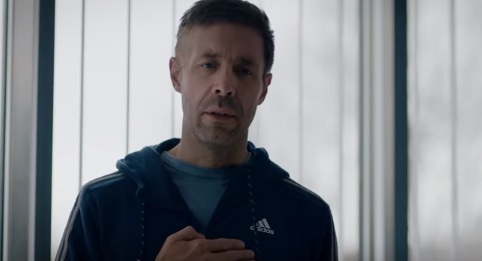 And as if to add to the dourness of Smith’s portrayal, the pre-end credits updates reveal the degree of inertia the issue has suffered since Omalu brought CTE to the public – and the NFL’s – attention. 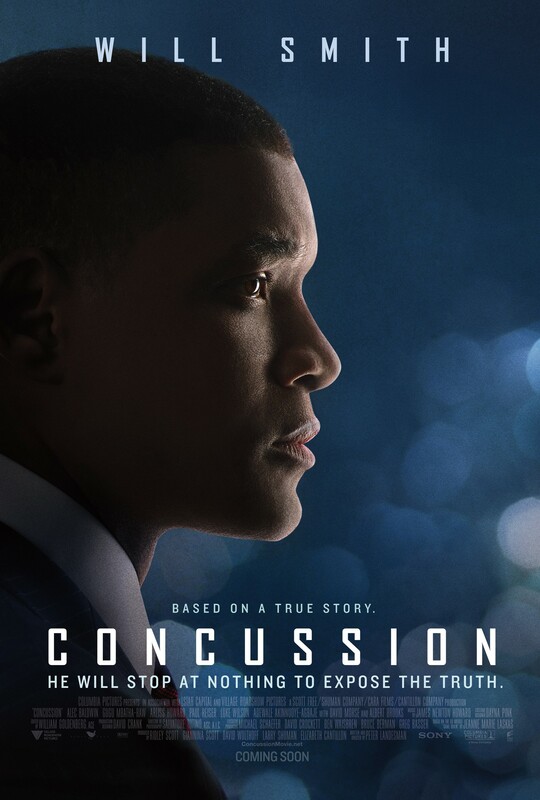 Rating: 6/10 – anyone doubting the existence of CTE should look to Concussion‘s uncompromising approach to the subject and rethink accordingly; sadly though, as a movie, it lacks the crusading zeal that would have made the issue that much more exciting and/or gripping.